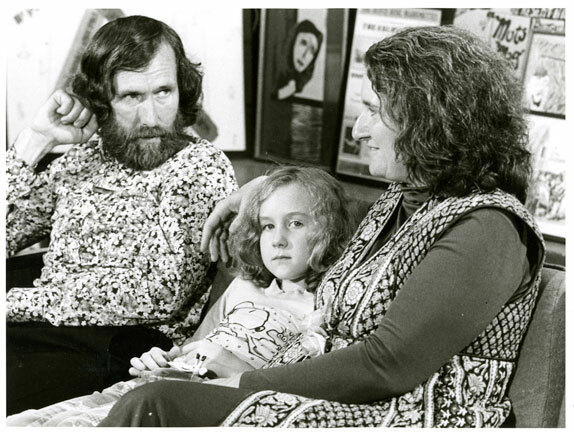 Kermit, Jim Henson and daughter Heather Henson at the grand opening of the Center for Puppetry Arts, 1978. Photo credit: Center for Puppetry Arts. 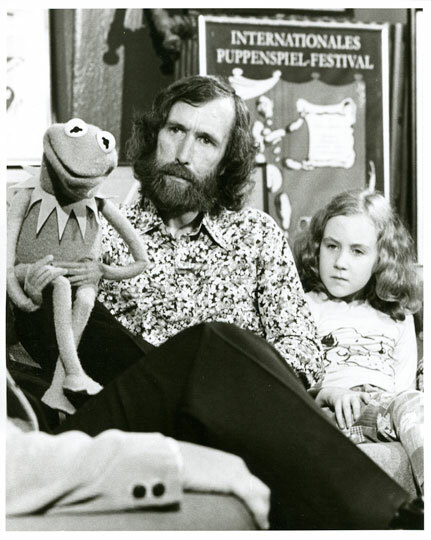 When Kool Kat of the Week Heather Henson was just seven, she accompanied her famous father, Jim Henson, the creator of The Muppets, to the 1978 ribbon-cutting of The Center for Puppetry Arts. Today the Center is world-renowned, and the youngest of the five Henson children is coming back this Saturday September 21 at 4 p.m. to lead an audience singalong with the original THE MUPPET MOVIE (1979), just one highlight of the Center’s 35th Anniversary Celebration (Sept. 21-23). A puppeteer extraordinaire in her own right, Heather founded and directs Ibex Puppetry, an Orlando, Florida-based entertainment company which among other activities, produces the annual Orlando Puppet Festival, the HANDMADE PUPPET DREAMS film series, the Puppet Slam Network and original environmental theatre spectacles. In that role, she’ll be teaching a Community Building Through Puppetry Workshop at the Center, too, on Mon. Sept. 23 from 7-9 p.m. She serves on the boards of the Jim Henson Foundation, the Jim Henson Legacy and the Eugene O’Neill Theatre Center. We caught up with Heather to find out what it was like growing up with such a creative dad, her own road to puppetry, why she’s so jazzed about her recent environmental projects and why to really feel that Rainbow Connection, you and your family should consider costuming as Muppets when you come to the Center on Saturday! ATLRetro: Being the baby of the Henson family sounds like it has to have been a magical experience. Was your father as imaginative in playing with you as he has been in his public creative life, and do you have a favorite memory of that? Heather Henson: Yes, he was very imaginative as a dad. We grew up in a house with a ton of crafts projects. You know, today you can get just go to Michael’s and find all these crafts projects out of a box, Michael’s didn’t exist when we were kids. We just had all these craft supplies. We had the little rock tumblers, a silk screen, an enameling oven, a weaving station and an animation station so we could do stop-motion animation. The whole basement was like a crafts project laboratory. So that was really, really, really fun. That playpen downstairs was amazing. I do a little PowerPoint presentation called “A Daughter Remembers,” and I show some pictures from that basement. We had a set of wooden boxes that were numbered one through 10. I think he must have done them around the same time as SESAME STREET because I look at the counting films and they look so much like that. He painted them in this beautiful limited color palate of the ‘60s—I think it was pink, orange and yellow. On one side, it would have a number, and on the other side us kids got to paint whatever they wanted—animals or insects of that number. It was like one elephant, two butterflies, three horses, four cats. They were so cute. I love those boxes. Again no Michael’s, no Hobby Lobby, no IKEA. Heather Henson promises a carnival sense of fun at THE MUPPET MOVIE singalongs. Photo credit: Ibex Puppetry. Did you always know that you’d go into puppetry, too? Or did you ever rebel, and say, no, I’m going to be a fill-in-the-blank?! Well, I went to college for animation. I guess in high school, I wanted to get into politics, not to become a politician but I liked international relations. I actually still do. A big love of mine is the way that different countries, different cultures come together. In high school, I thought that fell under a political science major. That was the only thing I could think of that would allow me to study other cultures other than anthropology. Right now, I do puppet shows internationally, and that’s still my favorite thing—to go into other cultures and see those relationships. But then I guess I started college studying art. I thought for a while I could be a political cartoonist. Then I went into, no, I’ll do animation and illustrations, and I wound up right back at puppetry. It took a little bit of a roundabout way, but it’s a total circle. My final project I did in college was in animation, and then when I got out of college, I re-told the story with puppets. I actually found it was a much more satisfying process—the build process and especially delivering it to an audience. 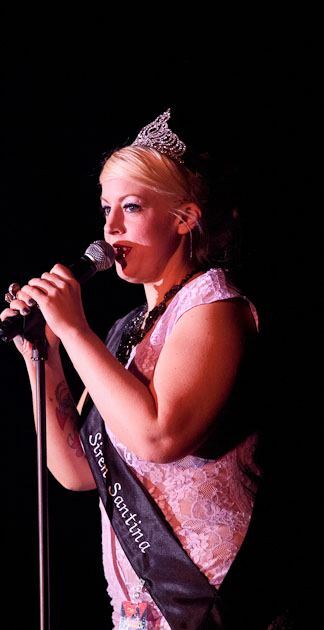 Having the live feedback of an audience and the communication between performer and audience was much more satisfying. But it came about from a very personal process. It was not like I’m the daughter of a puppeteer, I have to be a puppeteer. 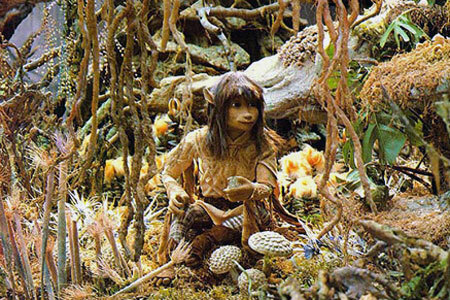 You’ve got your hands on the strings of a lot of projects from IBEX Puppetry to the boards of various Henson-related foundations. What’s one thing you’re especially excited about that you’re doing right now? The environmental spectacle shows and trying to do them internationally. I do shows without words. We just came back from a puppet festival in Indonesia where we performed CELEBRATION OF FLIGHT, and I’m most excited to do this for an international audience in ways that are also helpful and are of benefit for the community that we go into. I try to make our shows informative about the environment but not going into someone else’s culture and being preachy. I like to do that for my own community, too. Right now I am in Milwaukee because we are going to be presenting CELEBRATION OF FLIGHT at the International Crane Foundation gala next week. This group does a lot of education about cranes and wetlands. Crane education is really about habitat restoration because cranes need wetlands and the wetlands are being destroyed. They are advocates for the cranes, but they are really advocates for the environment. So I am presenting this show to them and to a school. That’s the work I’m really excited about—trying to do stuff that is being an advocate for the environment. If it’s at all possible that I can use my energies in that direction, that’s exciting to me. As a child, you attended the ribbon-cutting of the Center for Puppetry Arts. Jim, Heather and Jane Henson at the Center for Puppetry Arts opening, 1978. 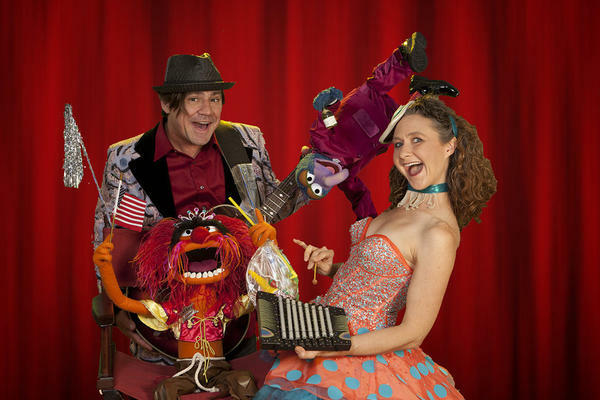 Photo credit: Center for Puppetry Arts. What do you recall about that day and how does the Center fit into preserving your father’s legacy today and into the future? I cannot recall anything about that day. I look at that photograph, and I remember the Snoopy sweatshirt that I was wearing. It was one of my favorite sweatshirts. I look at that picture, and I can see that I am wearing SESAME STREET Big Bird corduroy pants, and I remember those pants. I look at that picture and I can remember my clothes. September 24 was my dad’s birthday. What was amazing about this story was that my dad was in the middle of shooting THE MUPPET MOVIE in LA, which was the first movie that they had. This was like his company’s ultimate creative success at this point. My dad had worked so hard pitching the Muppets to an adult audience for so long, and [THE MUPPET SHOW (1976-81)] was finally picked up in London, and as soon as it was on the air, it became a huge hit. Now he got that opportunity to make THE MUPPET MOVIE. The movie is not about THE MUPPET SHOW, which was based on vaudeville theater in London; it is about the Muppets coming together to make millions of people happy. They all find each other, and they say we’re going to work together, and at the end, they make it to Hollywood. It’s so beautiful. So my dad was in the middle of making that movie, and that’s when the Center for Puppetry Arts opened. My dad left that movie to come to the opening on his birthday. He didn’t even tell Vince [Anthony, founding executive director of the Center for Puppetry Arts] it was his birthday. So he thought the Center was pretty cool; it was a sure sign that he thought that something special was happening here? Yes, he thought it was worth coming to. It’s like, oh, my God, he’s in the culmination, in such a peak in his creative career, and he stops what he’s doing and comes to Atlantato open the Center. It means he really believe the Center was an important place. 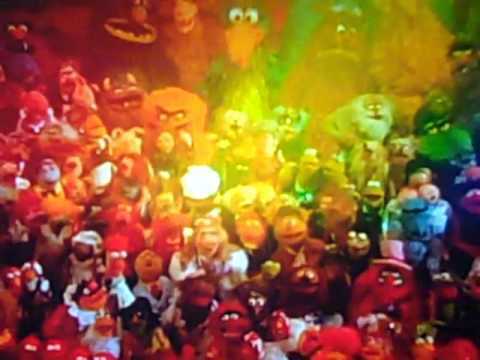 The grande finale of THE MUPPET MOVIE. Photo credit: Jim Henson Company/Walt Disney. Coming back to THE MUPPET MOVIE, what’s your favorite part or scene and why? It’s such a beautiful movie, by far my favorite of the lot of them. All of them have a special place in my heart, but that one I love just because how pure the message is, how clean the story is. It’s just all these amazing, idealistic people that came together, such as Paul Williams and Kenny Ascher who wrote some amazing music. My favorite part is the ending, “The Rainbow Connection.” [The Muppets] are so excited, they’ve made it to Hollywood and they’re finally getting a chance to their movie. It all crashes down and then the rainbow comes through. It’s so beautiful. Can you share a little bit about what’s happening on Saturday and why folks who grew up with the Muppets should attend and bring their children? And dress up! We’ve got to tell people that they can dress up! Come dressed up as Muppets, and we’ll bring you up on stage. We’ve found the show works so well for all audiences because the kids like it, the adults like it. We’re getting a lot of kids that are seeing it for the first time. I can’t tell you how many times people say they loved the movie as kids, and now they are bringing their kids. Sometimes the kids know SESAME STREET but don’t really know the rest of the Muppet gang. Or sometimes the parents will show the kids the movie before coming, so the kids will already know all the movie and the lyrics. It’s really funny. The parents and kids can enjoy it together. It’s a big party. It’s a big laugh. We have a really good time. We’re really loud. It’s just like a big carnival for a couple of hours. We sing and dance and just revel in the joy. You’re also doing a workshop on Monday. Yeah, it’s a webinar, and it’s on community engagement. Megan Boye and I are doing it together. I don’t just like making shows that are one-sided. I like doing things that are interactive. We are giving audiences things to do, to dance and sing and play. It all started with THE MUPPET MOVIE singalong, and then the LABYRINTH singalong. We’ve added this interactive element to a lot of our [IBEX’s] shows. 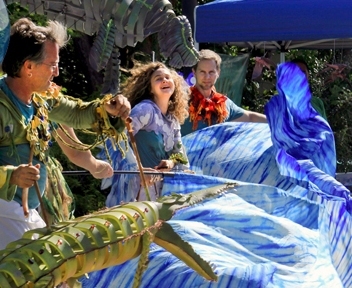 We have this whole show called ENDANGERED SPECIES PARADE. 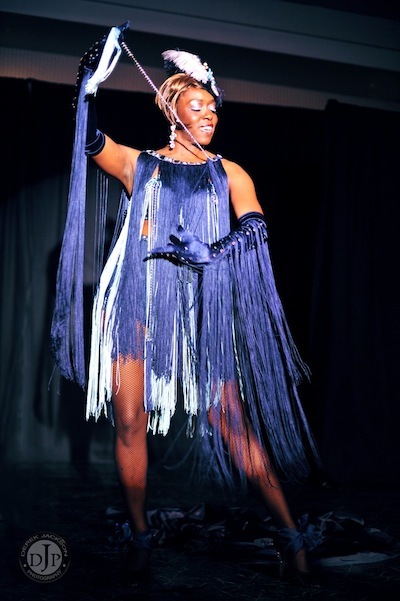 We book it like a show, but it’s more like we bring a whole presence to your event. We set up a musical station where kids can play instruments. We set up a tableau of all of our puppets, a display where you can walk around and see them. We set up workshops where you can make puppets. And every hour or couple of hours, depending on how often the venue wants us to do it, we do a parade where we pick up a puppet and we parade around. That type of engagement is something we now do in a lot of our shows, so we’ll talk about how we do that. Finally, in a world of CGI, where do you see the future of puppetry as an art form? Do you have concerns or do you think it has a special quality that will keep it vibrant and sought-after? 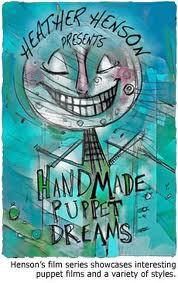 I deal with some film and video, but right now only in my HANDMADE PUPPET DREAMS film series, which is another project of mine that I bring to Atlanta to the Center for Puppetry Arts every year. In my personal work, I don’t do much film work, but when I do film it’s all about practical objects. CGI has been beautiful in a lot of areas, and my brother Brian [Henson] is really into it. 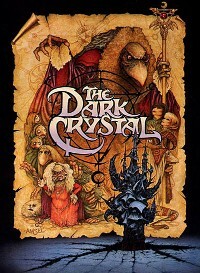 I know the Jim Henson Company has invested a lot of time and money and energy into it. I’m not that scared of [CGI] because I think also the pendulums will always swing. People are interested in new technology, but at the same time, they’re interested in real things, too. Lately I’ve been into live things, so I guess CGI has a place there, too—I guess I have seen live events with CGI creatures—but it really hasn’t come into my world that much yet. But no, I don’t have concerns. I think people are always going to want the craftsmanship of the built physical thing. There’s always a place for that because you want something real in front of you.